This 1400 square foot facility was designed with two functions in mind. 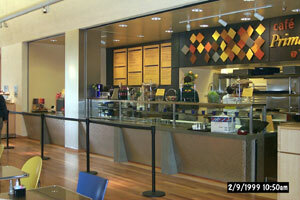 The first was to provide high quality food and beverage service to the guests and staff of the museum. 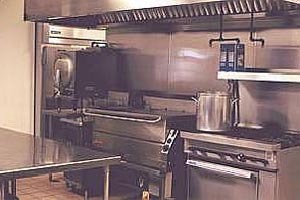 The second was to act as a support kitchen (along with a second pantry / storage area) to provide catering for numerous special parties and banquets at the museum. 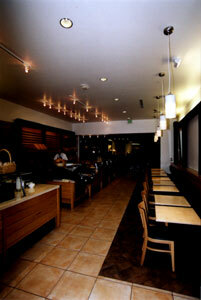 Cafe de Soliel, located within the intimate Westin Palo Alto Hotel, serves breakfast, lunch, and dinner to both hotel guests and to the Palo Alto community. 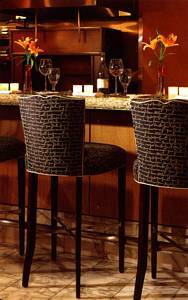 The 3550 square foot kitchen also provides room service support and catering throughout the 184 room hotel complex. 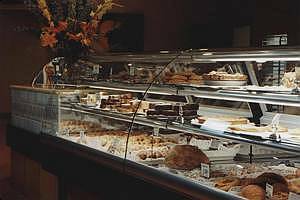 Originally designed as a high end, full service bakery / deli / restaurant, this 2500 square foot facility has been given a new life as a part of a northern California French themed bakery / coffee / desert concept. Many of the original design elements remain. The Bucknall campus of San Jose's Harker School features two full service kitchens to serve both elementary and middle school students. The 2160 square foot kitchen shown, provides daily lunch and snacks to the elementary school servery as well as breakfast and lunch service for the school staff. 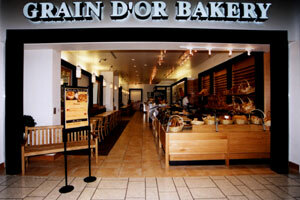 This retail bakery replaces an older unit that was located on the ground floor of the center. 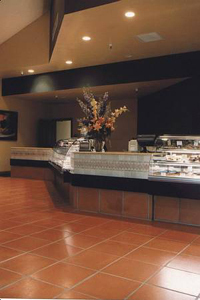 This facility, which features site-baked products, bake-off products, sandwiches, and beverages is located in a more accessible location on the top floor of the center. The sleek, modern design has lived up to the owners' expectations as one of their more profitable units.